this is a professional grade chainsaw.Has G-Force Engine pre air-cleaner with vibration reduction system.CS-490 with 50.2cc grade 2 stroke engine. The ECHO CS-490-20 features a 50.2cc professional grade 2-stroke engine and 20 in. bar. At 10.6 lbs., it's the lightest weight saw in its class. Great saw for large landowners, farmers/ranchers, firewood cutters and homeowners. 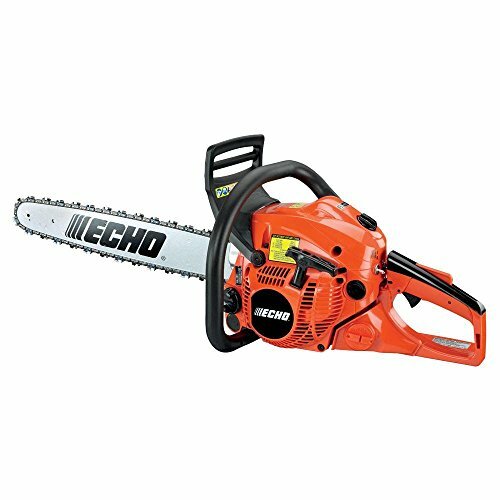 Echo CS-490 20" Bar 50.2cc Engine Professional Grade Gas Chainsaw SEALED NEW! Store: zz1sm Condition: New (Open Box, or other) Price: $300.00 Total Price: $300.00 Buy It from zz1sm No returns. Echo CS-490 20? Chain Saw L@@k New! Store: vortex133 Condition: Brand New Price: $279.53 Total Price: $279.53 Buy It from vortex133 No returns. Store: nved1320 Condition: New (Open Box, or other) Price: $279.00 Total Price: $279.00 Buy It from nved1320 No returns. Store: societyhillloan Condition: Brand New Price: $290.00 Total Price: $290.00 Buy It from societyhillloan No returns. Store: Godfather Pawn 1 Condition: Brand New Price: $299.99 Total Price: $299.99 Buy It from Godfather Pawn 1 No returns.